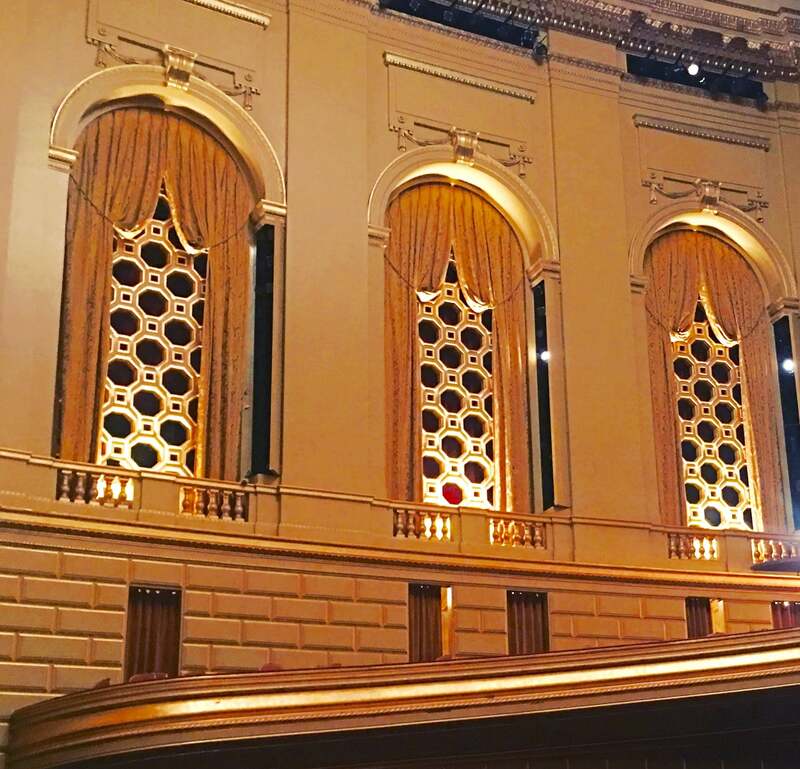 If you have never been to the famous “city by the bay” you are in for an architectural and cultural treat. 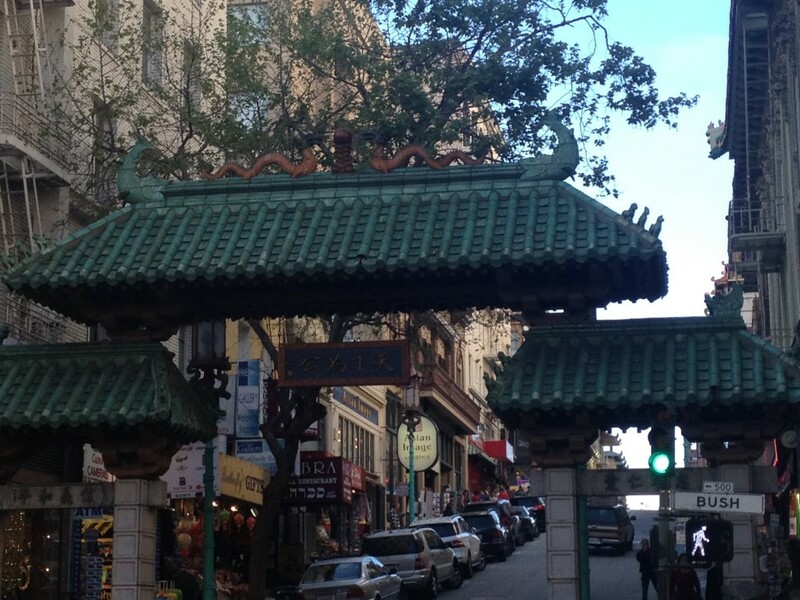 With it’s steep hills and diverse cultural heritage San Francisco has so much wonder to experience. The first time I visited San Francisco I hated it. I was there for business, which was exciting, but the weather was cold and overcast in the middle of Summer and I didn’t do anything more than taxi from my hotel to my office and back again. 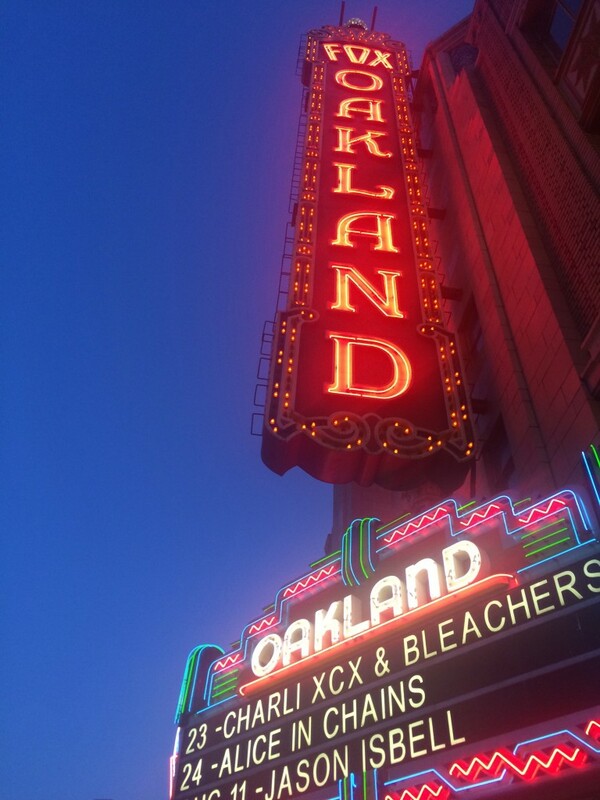 My 3rd time to San Francisco, I had a co-worker offer to show me around the city after work. She was a local and knew all the great things to do in SF. She took me for a trolley ride, drove me down the famous most crooked street, and took me for a Muay Thai lesson, which was the fad workout at the time. I came to love San Francisco on that trip, thanks to that kind co-worker, who barely even knew me but offered to show me a truly meaningful time around. Now, dozens of business and leisure trips to the city later, I thought it was time I pay her kindness forward, and offer you the best of San Francisco from my experience. 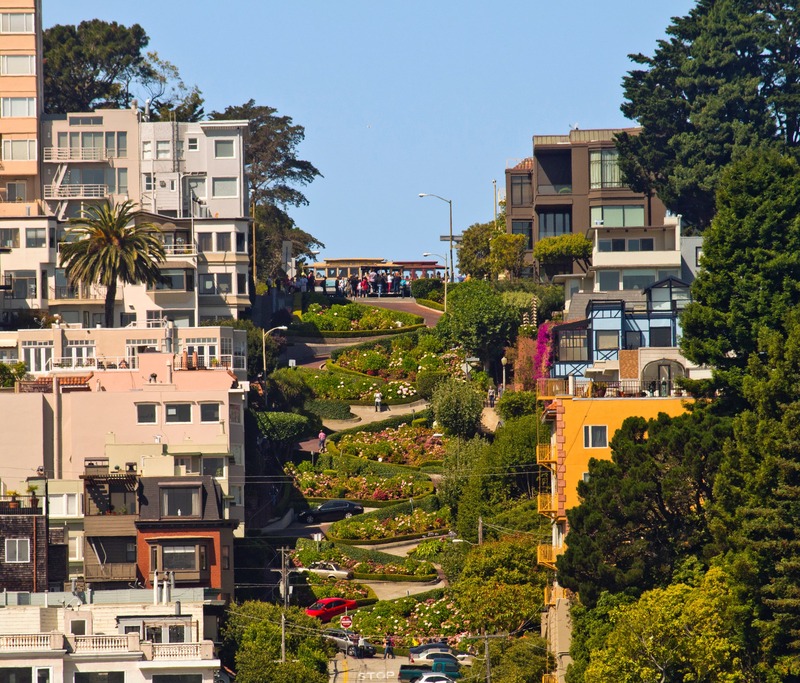 The sweeping microclimates in SF can cause the temperatures within the city itself to vary by as much as 20° from one part of town to the other. The weather changes quickly too, so it’s a really good idea to dress in light layers. 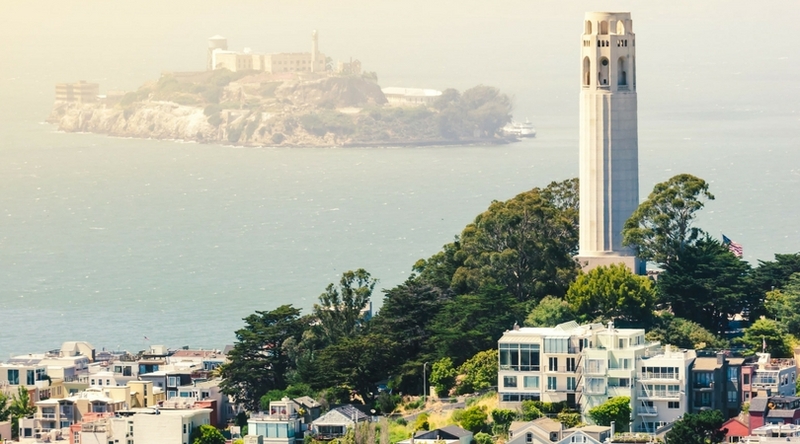 Fair warning if you’re planning a Summer trip to SF. Summer does not feel like Summer at all in this city. 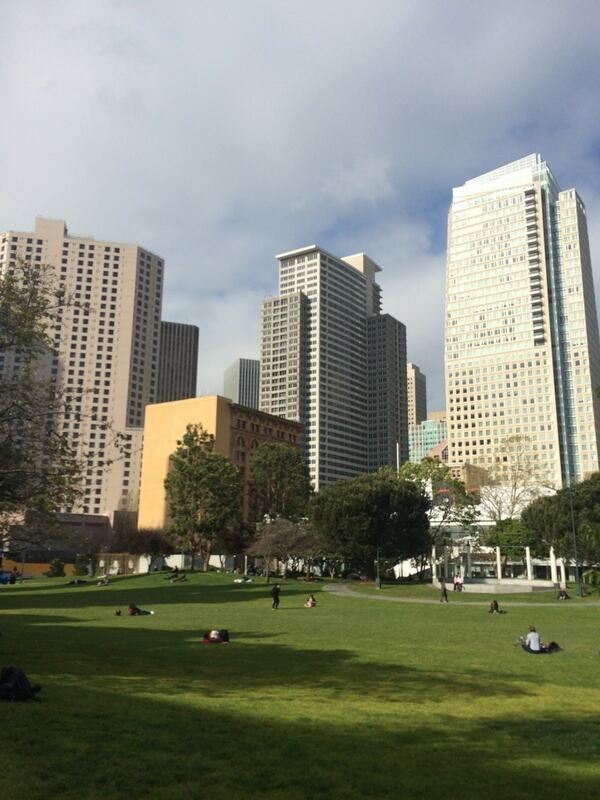 Mark Twain famously said “The coldest winter I ever spent was a Summer in San Francisco”. If you’re traveling to San Francisco, my advice is to be sure to layer and always bring a coat, especially in Summer. It can be so hard to find a good hotel sometimes. Price does not always dictate quality. Having stayed in so many different hotels in the city over the years, I have a list of five favorites. Here they are along with what you’ll love about each. 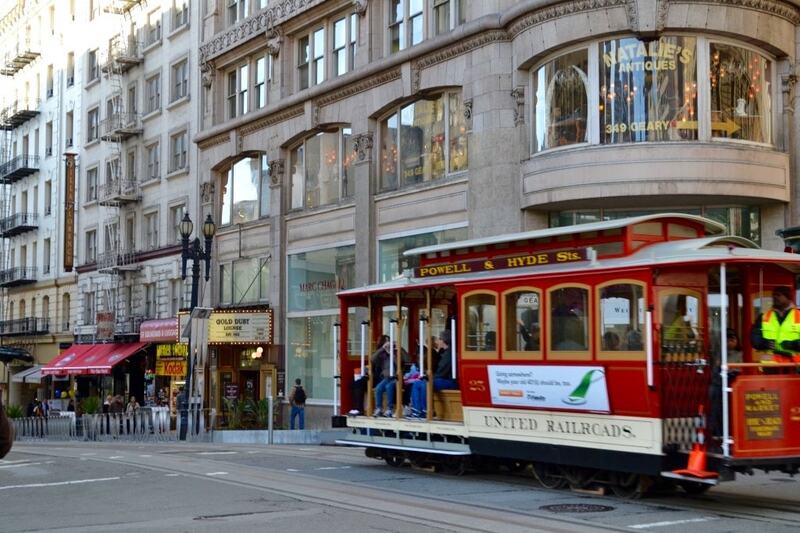 Westin St Francis– is an ideal location right in the heart of Union Square. Shopping and dining spots are walkable. I liked to stay here for the pancakes. There’s nothing more luxurious than breakfast in bed and their orange granola pancakes made waking up such a delightful experience. 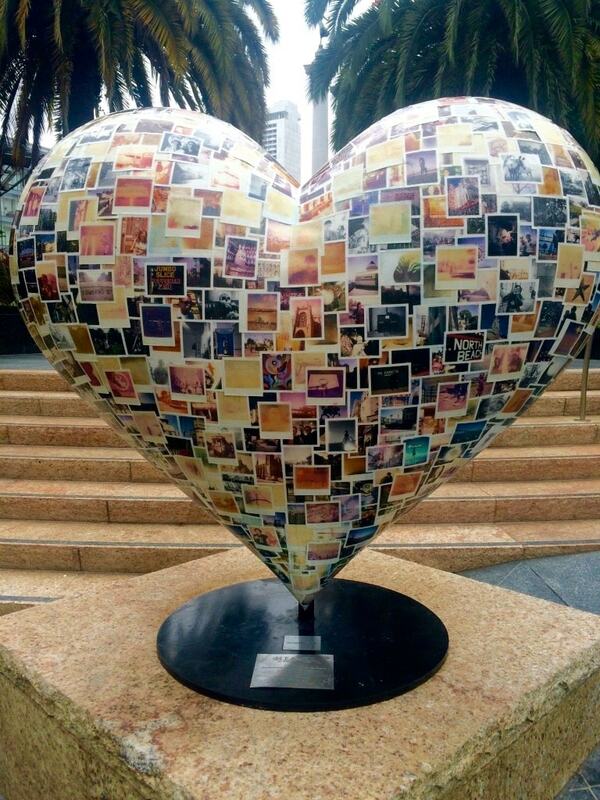 The famous “Hearts of San Francisco” exhibit is right across the street so it makes for a nice leisurely stroll after breakfast. 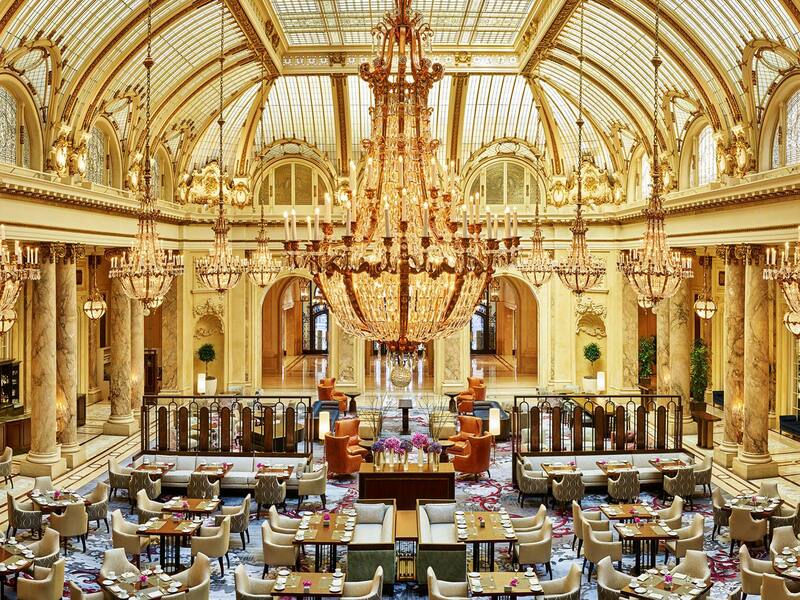 The Palace– an old school luxury hotel including a beautiful garden court restaurant. The sun shining through the spectacular windowed ceiling is one way to get your day off to an amazing start. 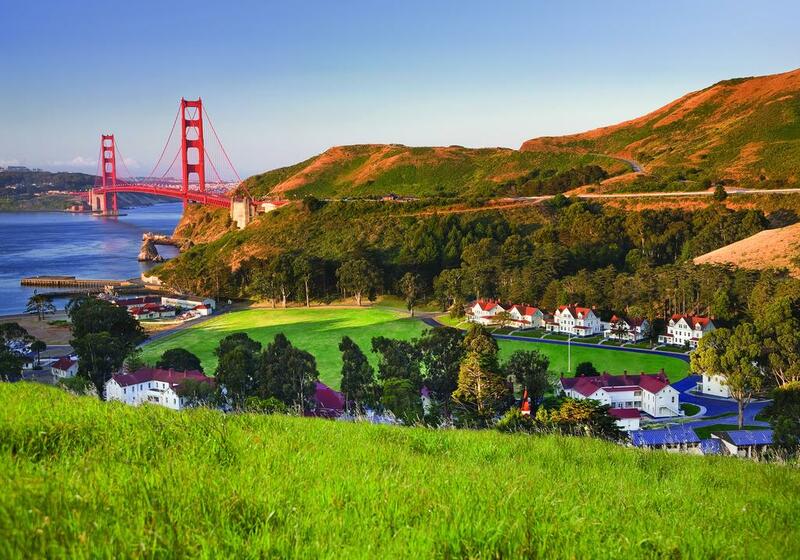 Cavallo Point– just outside the city, Cavallo Point Lodge has the most craziest hotel view of the Golden Gate Bridge. The rooms are beautiful and the landscaping is so lovely you forget you’re anywhere near a city. 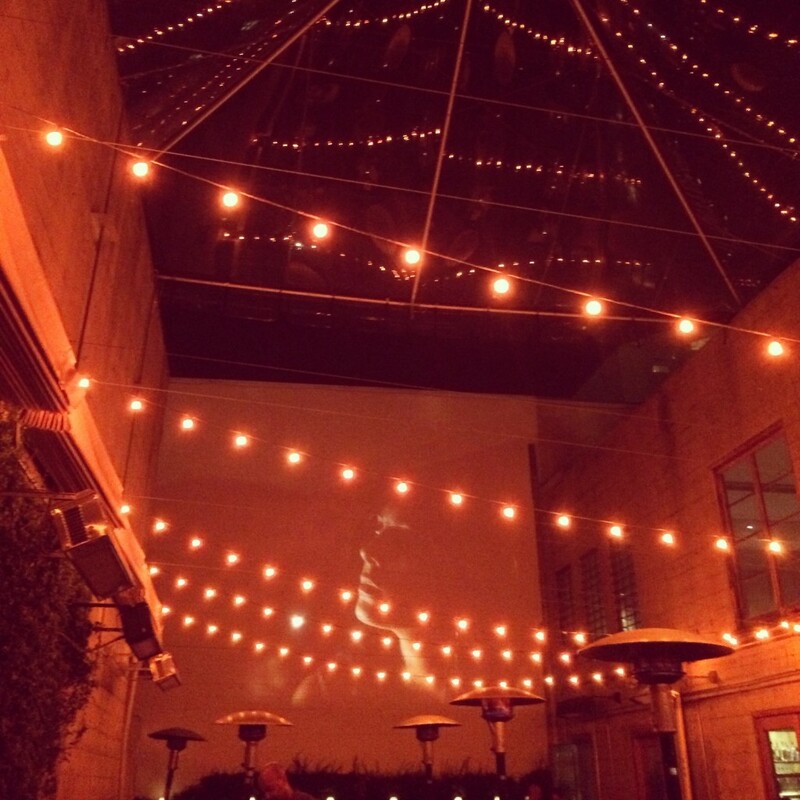 The Clift– Great place to meet up with friends you might be visiting in the city. 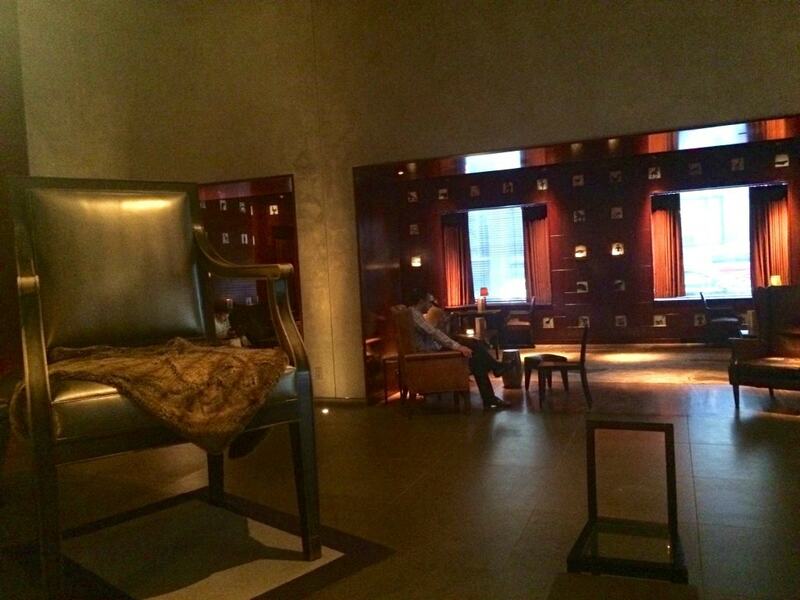 The Clift lobby boasts this awesome chair that I was always tempted to sit in and pretend I was Alice in Wonderland. The St. Regis– By far my favorite hotel in San Francisco, The St. Regis is usually super expensive but sometimes you can score it on a deal, which is how I was able to stay there. 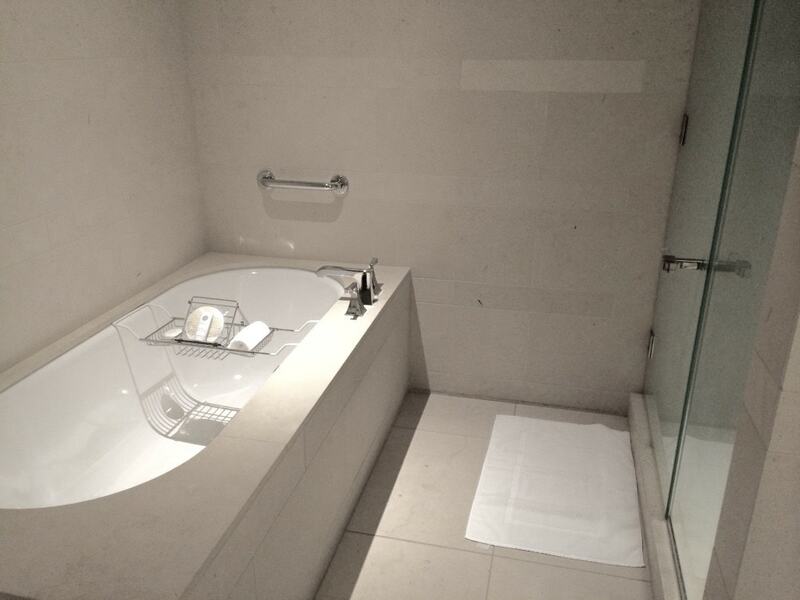 Best amenity, their sunken tub. 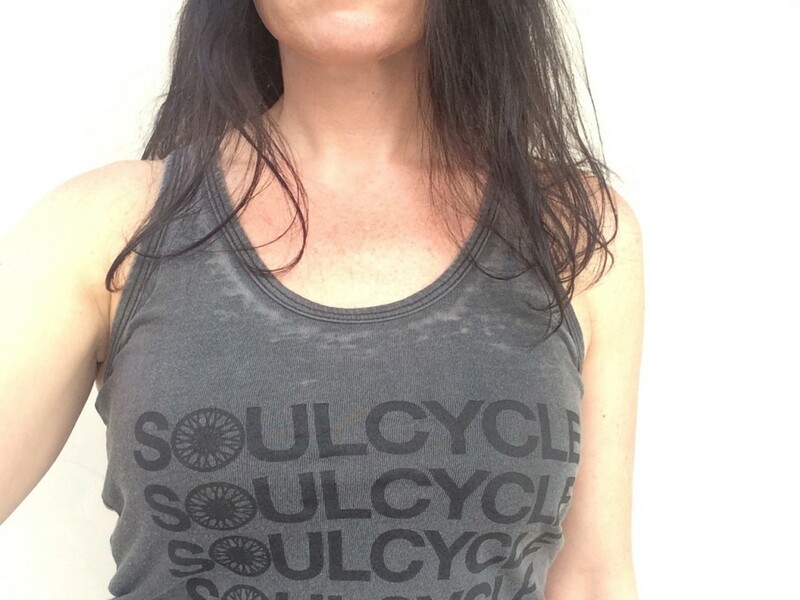 Soul Cycle– in case you don’t burn enough calories walking the hills of San Francisco, you can take a 45 minute cycling class to rhythm-based choreography at Soul Cycle. 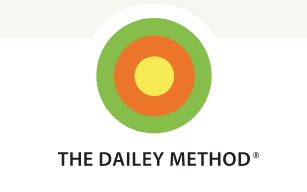 The class is so much fun, it’s over before you know it and you’re sweating buckets so it’s worth the effort. Best Massage– I have been to spas from NY to LA to Charlotte to SF and the award for absolute best massage goes to the Intercontinental Hotel Spa in San Francisco. I don’t even know what they do that’s so special. It’s a small spa, nothing too extravagant, but it’s the one massage I always fall asleep in- it’s that good. Nordstrom Flagship Store– Nordstrom has one of their 6 flagship stores in San Francisco in the heart of Union Square on Market Street. It includes Spa Nordstrom, which offers some of the best facials I’ve experienced. (they offer 30 minute mini-treatments for $70 or less) and if you’re hungry while you shop, Café Bistro has the best French fries ever. Located at 865 Market Street. 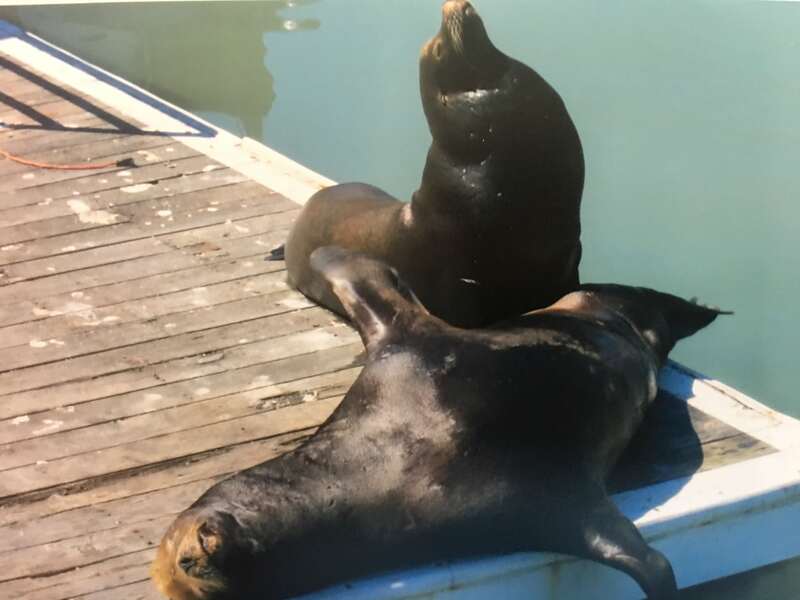 Fisherman’s Wharf– watch the sea lions sunbathe at Pier 39. In addition to the colony of sea lions that hang out here, Fisherman’s Wharf has historic ships to tour and lots of souvenir shops. Beware of the World Famous Bushman who hides behind eucalyptus branches and scares passers-by. We were among his victims on our visit. It was pretty funny how he made us jump. 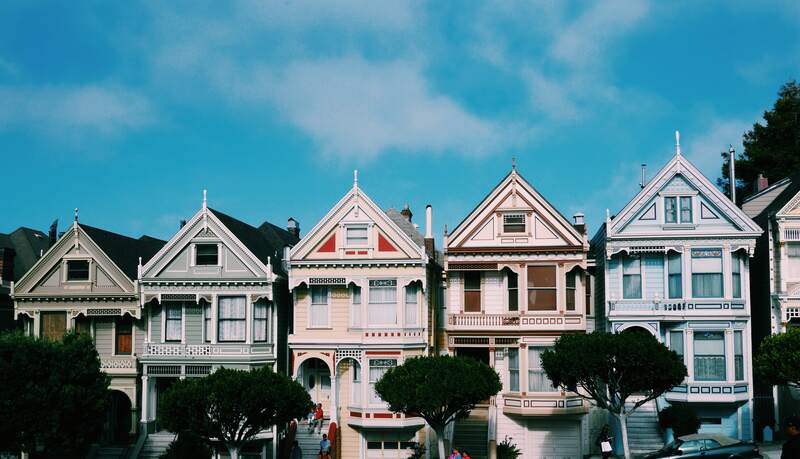 Otherwise known as “Postcard Row” the Painted Ladies are a set of Victorian homes, decorated with three or more colors which were built between 1892 and 1896 and have the backdrop of the city behind them. Although they are residential homes, many tourists flock to see them each year for their historic beauty. Located at 710 to 720 Steiner Street. The Golden Gate Bridge– One of my favorite ways to see the city for the first time is with the hop-on-hop off double decker bus tour. The Sausalito tour includes a trip across the Golden Gate Bridge. We took this tour with our son and sat on the top level which allowed us to take great pictures from the bridge. Naked Kitchen– Located in the heart of the Mission, Naked Kitchen is the most unique dining experience I’ve ever had. 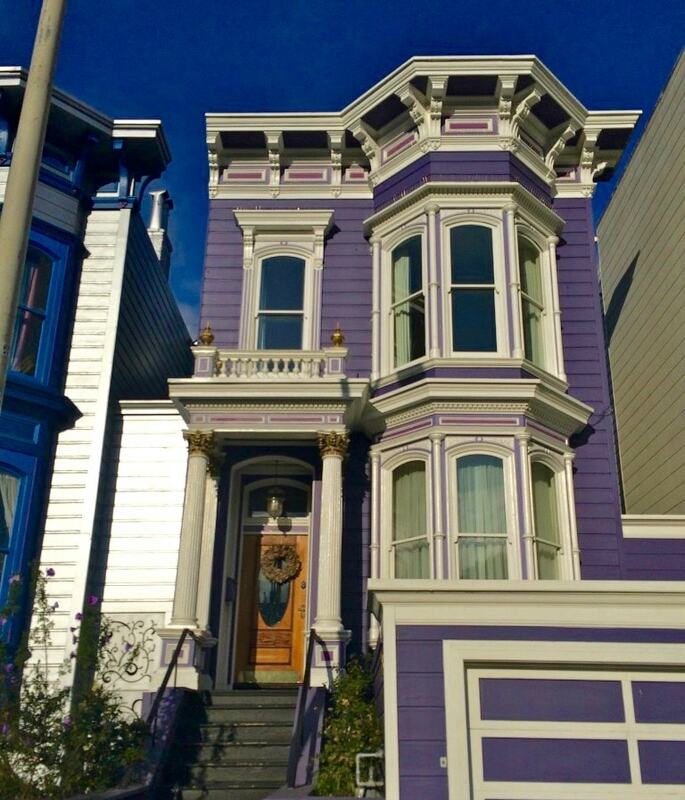 It is a completely customized affair in the chef’s kitchen of an 1870 Purple Queen Victorian. It’s like being invited to a chef’s home as his special guests for dinner. They offer a pop up dining experience, or you can book a private event, which is what I did. If you’re looking to celebrate a special occasion in SF or for a unique venue to take clients, Naked Kitchen is a memorable one. Call for bookings. Bobo’s for Steak – this place is so awesome, it makes me wish I still ate steak. Bobo’s is the most random hole-in-the-wall location, literally it is just above a Travel Lodge, but their steaks are legendary. Hands down, the best Filet Mignon I’ve ever had. 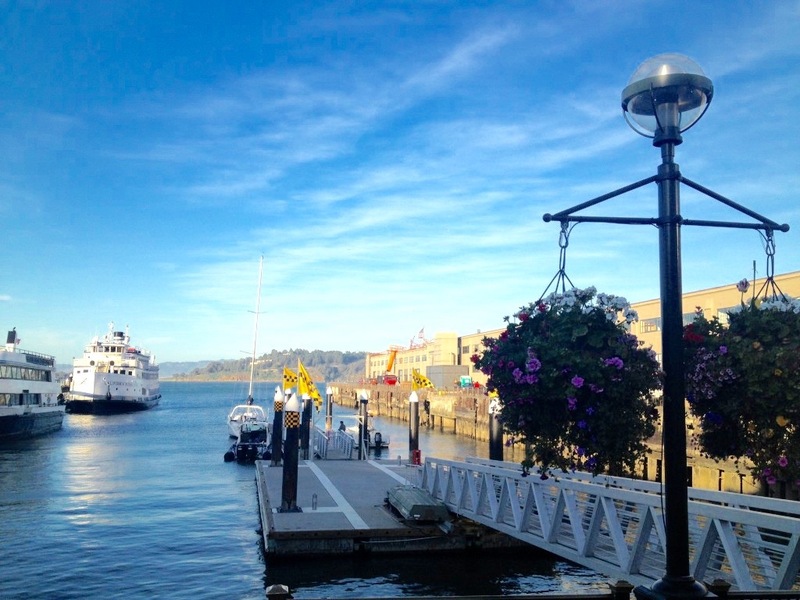 La Mar– If you want great food with a view of the Bay, La Mar is right on the Embarcadero. It’s Peruvian food at its finest. The Cebiche is really good. Foreign Cinema– For an awesome date night, go to Foreign Cinema where they screen movies in a magical atmosphere while you eat. Perfect for movie buffs, like me. 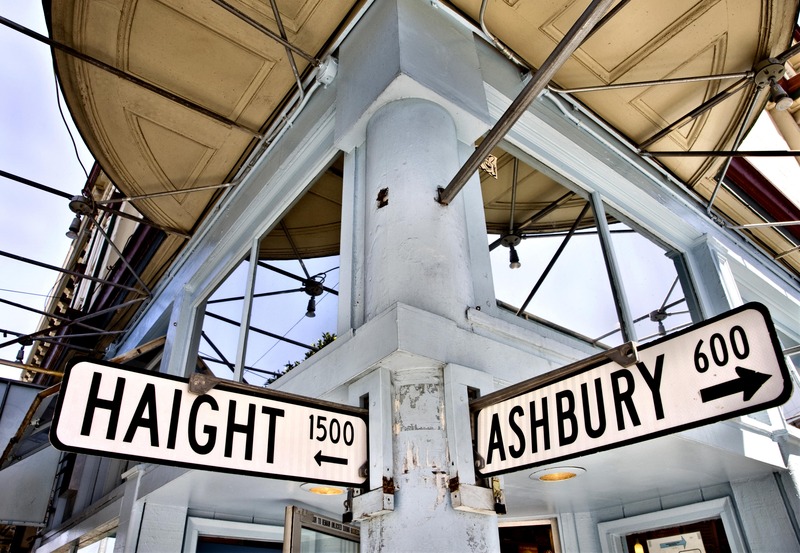 Located at 2534 Mission Street. 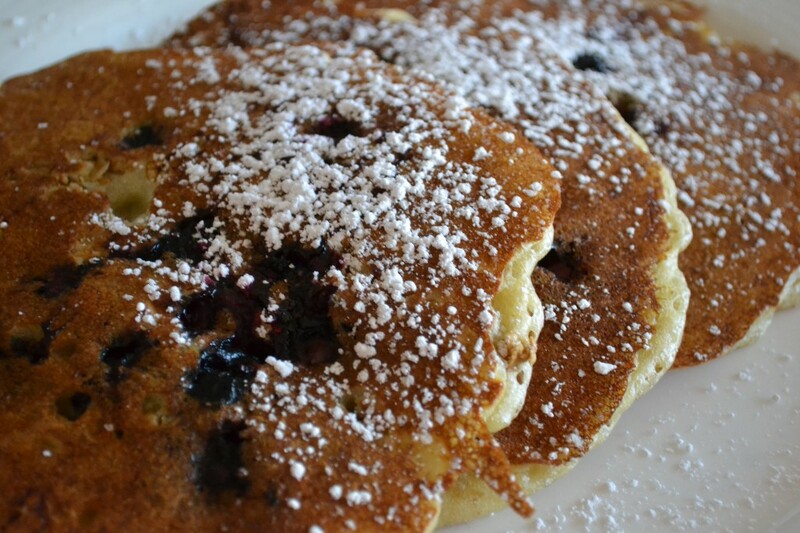 Flour & Water– everything is delicious at Flour and Water. I love their pizza. You typically need to make reservations up to a month in advance though, so plan ahead. Walk-ins are welcome too if you’re the adventurous type. Located at 2401 Harrison Street. 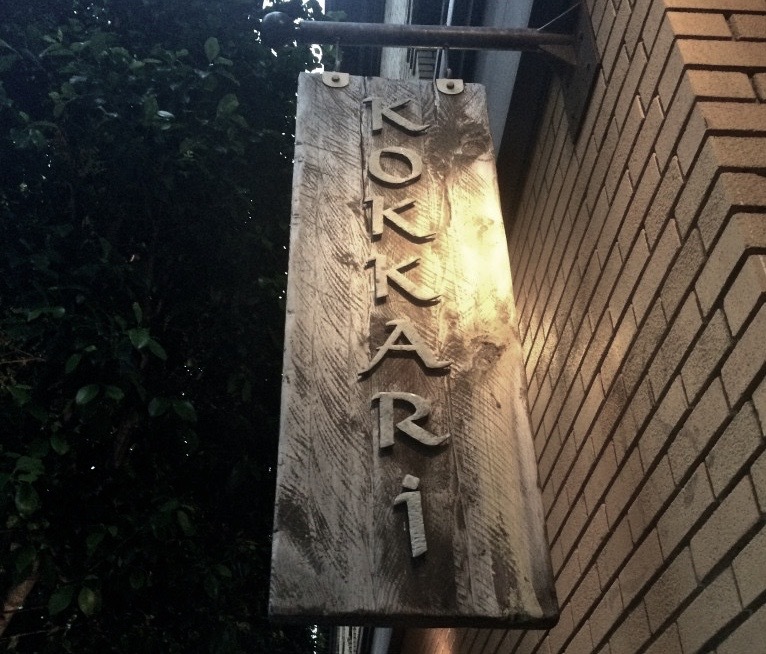 Kokkari – an amazing Greek restaurant in the Financial District. Their house-made grilled pita is so good you’ll be tempted to make a meal out of it. Go for lunch and order a sampler of the Melitzanosalata, Taramosalata, Favosalata or Tirokafteri, which includes different types of hummus-like dips, served with pita. Make reservations 2-3 weeks in advance. Located at 200 Jackson Street. 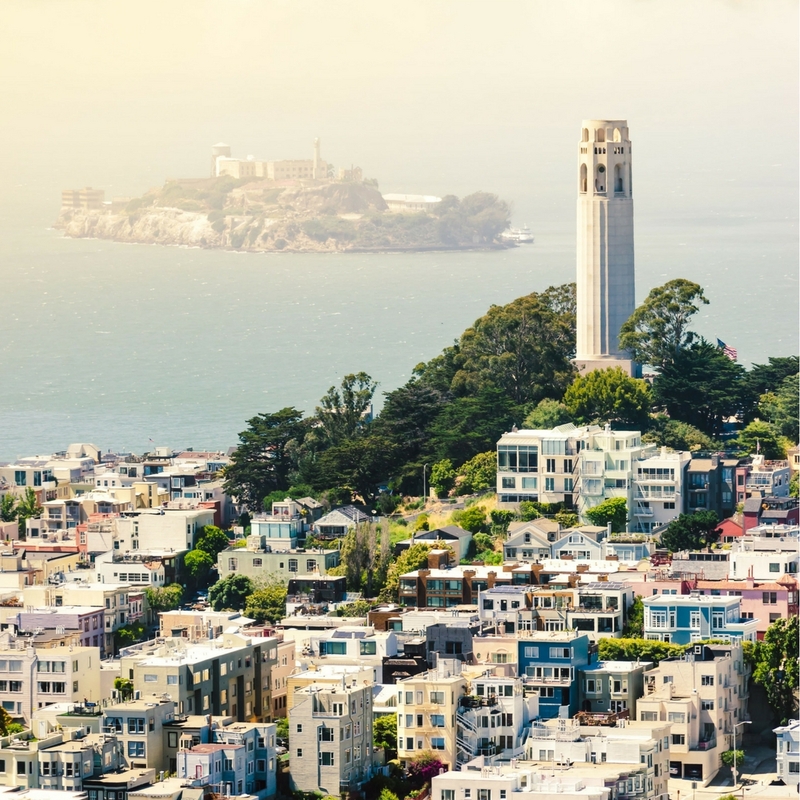 San Francisco has so many unique places to stay, play, eat and see that you can’t help but fall in love with the city. Here is a summary of my favorites with links to each to make your visit a meaningful one.